Nintendo has revealed that the Wolf Link amiibo which launches alongside The Legend of Zelda: Twilight Princess HD on the Wii U will also unlock exclusive content in the forthcoming Hyrule Warriors Legends on 3DS. The figure will give players access to enhanced weapons for the character Midna. In addition to this, all Zelda-related amiibo from the Super Smash Bros. collection will unlock enhanced weapons for their respective in-game characters. All other amiibo are compatible with the game, but as was the case in the Wii U original, they simply give you random rewards. You can scan each amiibo once a day. It has also been confirmed that the European release date for Hyrule Warriors Legends has been brought forward - it now launches on March 24th. Hoping the Wolf Link amiibo would do the same also on HW and not just HWL... that is, I hope "exclusive" means "locked behind an amiibo" as opposed to "exclusive to HWL"
But will this Midna amiibo work with the Wii U version? This is really cool, because I've struggled to level Midna up with the weapons I've been able to pick up for her in Hyrule Warriors. Nice to see 3DS getting some more amiibo support. Is NOE religious aware enough that they moved up HWL by a day so as not to release on Good Friday? That's my understanding of the wording in the tweet. After releasing SMM on 9/11 I didn't think Ntinedo would care about dates. Now that we can add HW to the list of home console games making the jump to handhelds, along w/ SSB, XC and to a lesser extent MK, and an even lesser extent Luigi's Masnions w/ the sequel making the jump, NX Home and Away both playing the same set of games seems feasible as the hardware draws closer to parity. @rjejr Good Friday is a public vacation day at least in Finland, dunno about the rest of Europe. Bad for doing business. @Damo You're wrong there, it's not exclusive at all but functions in the same way as the Zelda, Sheik and Ganondorf amiibo that you receive a 3+ star level 3 weapon for that character. You can get those just by playing the game normally. Oh, I guess that puts to rest my hope of getting a HW amiibo range. Amiibos are the talking point, Nintendo are on a high, coder's are busy working on Amiibo character codes and what use they will be in a game and how much extra revenue they will bring. The game now seems secondary. .......and after the Wii came the Wii U. 90% less successful than the Wii. If the Amiibo bubble does not burst before the NX arrives it will be seen as a kiddies game console. Maybe Nintendo are already planning a pink and a blue one. That's a bank holiday in the UK! No postal delivery on that day! I love Zelda, played all of them....I will not get Hyrule warriors however...so you just run around and kill off hordes of enemies.... oh well, that's too bad. I guess I'll get this game and then have to unbox my Ganondorf amiibo! @Ronnie1969 you can always just play the Wii version, and not have to worry about all that "new" stuff. until Nintendo does something extremely drastic, like releases Mario Galaxy 3, and requires you to buy the new amiibo to open the Final boss, I'm fine (more or less) with how Nintendo is experimenting with Amiibo, as long as they don't lock some element of the game that affects the story or the main game, they should keep experimenting. 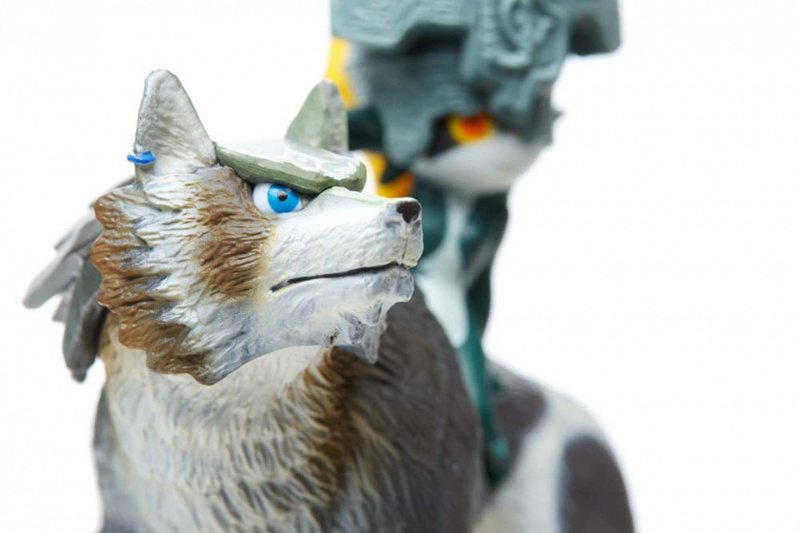 Nothing that this Wolf link Amiibo has is hurting the game in any way, to me its more for diehards and completionists who want something to do after the game is over. There is a lot more that Nintendo could do with Amiibo, but so far there isn't anything "breaking" about them in terms of having to buy them to beat a game. What Nintendo should have done, is release the Wolf Link Amiibo one to two months down the road, with this extra content, and no one would be as irritated as they are now. It would a) create a new amiibo to collect, b) get people who hadn't bought the game in the first place to rethink the purchase thus invigorating sales two/three months post release. Sadly they did a day one amiibo/dlc and that I think was the only mistake with it.